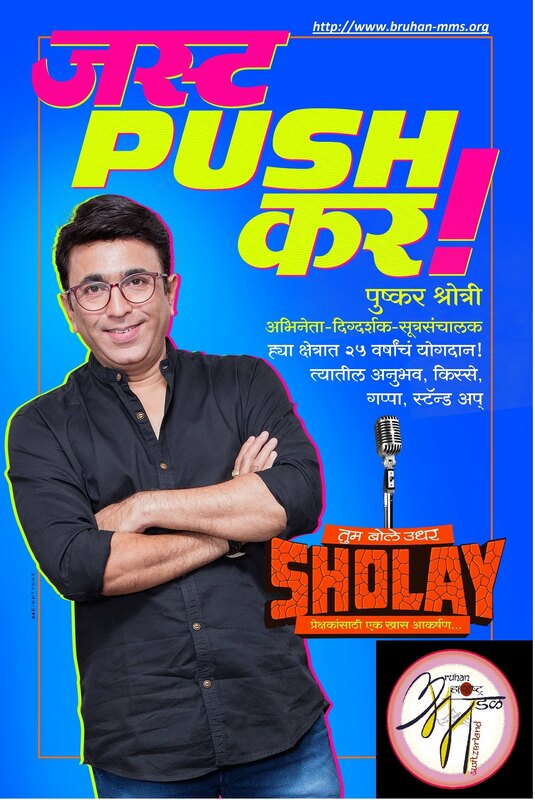 A well known tallented Actor Pushkar Shrotri from Marathi and Hindi Movies and Thetre with 25 years of contribution as actor, Director is presenting his very own show Directed and acted by himself. PLEASE NOTE : For technical reasons, Event is Basel has been Cancelled. We appologise for the incovenience. All non-members can consider becoming members from this event and BMMS will treat membership valid until April or Gudipadwa event in 2018 and you can start taking advantage immediately.